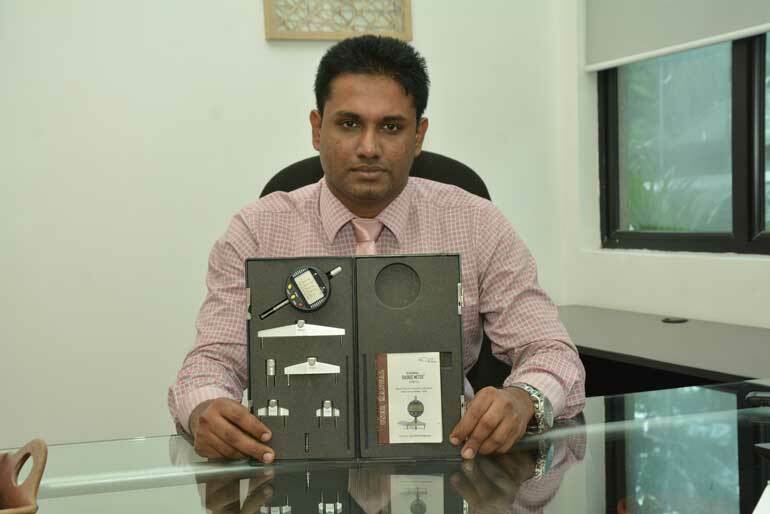 Born with a passion for invention and an indefatigable drive for success, Dinesh Katugampala was thrown into the limelight for his groundbreaking invention of the Radius Meter, bagging several prestigious national and international awards on the way. Now, shortlisted by The Ray Wijewardena Charitable Trust for the prestigious Ray award, he seeks to bring his invention into the market along with its potential to transform the engineering industry. Even in his early days, Katugampala showed an incredible zeal for invention. He recalled his early school days at Bomiriya Central College when he was part of the student group that formed the Inventors Society. One of the earliest projects he worked on was building a biogas unit for his school cafeteria. Later he joined D.S. Senanayake College in Colombo where he continued to hone his skills in several science exhibitions. He fondly remembered one of his exhibits which he described as “scientific magic” in which he appeared to convert copper coins into gold. 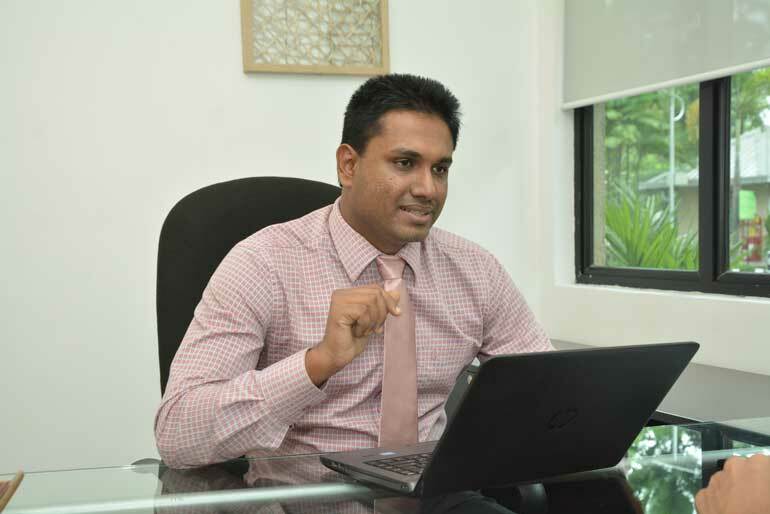 He later did his National Diploma in Technology (NDT) at the University of Moratuwa under the discipline of Textile and Clothing Engineering Technology as well as his MBA specialising in Operations Management at the Indira Gandhi National Open University of India. He is currently working for MAS Innovations as an Automation Engineer. Katugampala conceived the idea for his Presidential Award-winning invention while a portion of his home was undergoing construction. He stated that, at the time, he had a disagreement with the mason handling the construction over an arch which he thought was crooked. “He didn’t want to accept the fact that it was crooked but I wanted to prove it. The arc is part of a circle but you can’t find the centre point because it’s a minor portion of a circle,” he said. Katugampala first came up with a mathematical theory called the Square Dual Theorem before setting out to create the instrument by which to measure the radius of an arc. His invention, called the Radius Meter, is capable of directly reading the radius of an arc or sphere and plot a major arc or circle using a minor arc. His first prototype was made in 2009 using two metal rods with the help of a village carpenter. He pasted the scale he had devised on the unit to measure the arc. The next prototype came in 2010 as he used aluminium to create a Radius Meter at the National Engineering Research and Development Centre (NERD) while in 2011 he made a semi-digitised version of the device which won him the Presidential Award. It was only in 2012 that the fully-digitised prototype was made, winning him the silver medal under the category of Industrial Equipment at the Inventions Geneva exhibition. “This apparatus can be used in all sorts of industries; mainly in the engineering sector. It is also useful in archaeology as well as industries like the tyre industry. This is the first radius meter and not a development of anything that came before,” he said. The young inventor stated that he had some trouble with patenting his ideas as he didn’t have sufficient knowledge of how to do so. With the support of his family and colleagues he was able to receive the guidance he needed in terms of protecting his intellectual property. He said that currently his main concern is protecting his rights as he fears his ideas could be taken and mass produced by others. “It could happen. I’m in Sri Lanka but someone from China or India could make it but I can defend my patent. The problem is that it would cost a fortune and I can’t afford to do that,” he said. Katugampala stated that he also intends to share his knowledge in terms of his theory with young students. The National Institute of Education has already shown interest in including his theory in its curriculum. “According to the curriculum they currently have, I think that this also has a place in it. That’s my intention,” he said. A common problem faced by most inventors is their relative inexperience in marketing their products or ideas so that it would be appealing to the mass market. However, Katugampala believes that he has the edge when it comes to marketing but still faces the dilemma of balancing out his life as an inventor and an engineer for MAS Innovations. “Most of the time inventors are not great marketers but I think I can do the marketing to a great extent. Since I’m working, it’s difficult to find the time to market ideas. I can’t give up my job and do this full-time because it won’t make sense,” he said. Dinesh Katugampala is one of four inventors who have been shortlisted for The Ray award, organised by the Ray Wijewardena Charitable Trust, which will be handed out on 24 August.